Hello! I photograph weddings in Wisconsin, and I'd love to hear about yours. "We received our album and it is PERFECT. Seriously, could not ask for more. You guys did an INCREDIBLE job and we appreciate all of the wonderful photographs. It was a pleasure working with you and I already miss your emails. :) I will continue to spread the word about your business and the great job that you do." "I really can't thank you enough for capturing such great moments of the day, the ease and professionalism of working with you, and the unbelievable creativity and talent you contributed to make my wedding day immortalized in such a beautiful way!" Hi! I'm Jeremy, a wedding and portrait photographer located in Central Wisconsin. My wife Kristin and I have been joyfully documenting weddings since 2006. 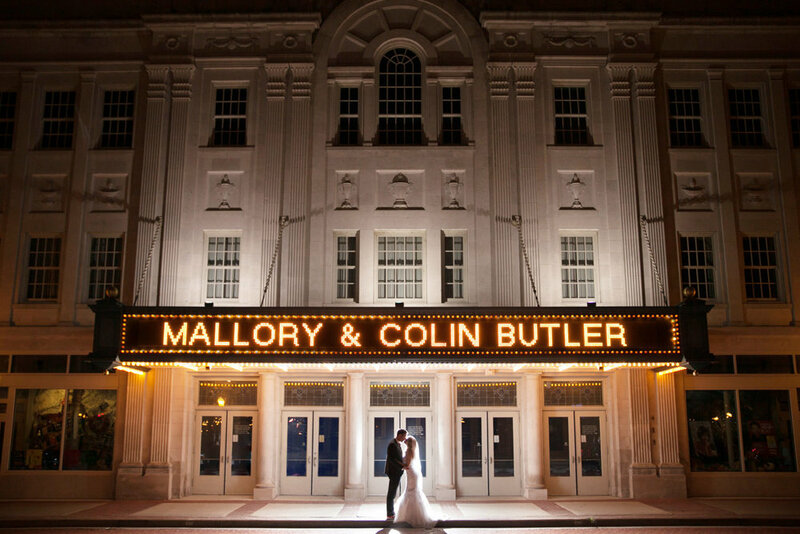 Simply put, we love love, and weddings are still our favorite part of the business. On an average day I'm busy juggling our photography business with the care of our two young children. Kristin shares her love of music as the band director at a neighboring high school, and assists me with weddings and portrait sessions as her schedule allows. I love living in a small town and our central location allows me to photograph weddings all over Wisconsin without charging for travel. I have a laid-back personality and I take a client-focused approach to wedding photography. Please click on the links below to learn more, or use the contact button to inquire about your date. All wedding commissions include travel within Wisconsin, your finished images on USB drive, and a complimentary Engagement Session. À la carte commissions start at $2,250, while Collections including All Day coverage and a 10" Coffee Table Book start at $2,995. Partial day elopement coverage is available for some dates starting at $1,595. I offer beautiful Coffee Table Books and Wedding Albums starting at $595 and $1,195. A complimentary Engagement Session is included for all wedding couples. Engagement Sessions booked without a wedding commission start at $495, the session fee can then be applied toward a wedding commission if booked at a later date. For more detailed pricing information and to check availability for your date, please contact me by clicking below. Our studio is located at 455 Main Street in Wild Rose, WI.